Bucchero became the fifth horse to become a two-time winner of the Woodford Stakes (GIII) presented by Keeneland Select on Saturday, as the all-time leading Indiana-sired money leader defeated a field comprised of ten other contenders in the 5 ½-furlong turf sprint. Having won the 2017 edition of the $200,000 race, Bucchero joined back-to-back winners Morluc (2000-2001), Sgt. Bert (2005-2006), and Silver Timber (2009-2010). Havelock won the race in 2011 and again in 2013. With jockey Fernando De La Cruz in the irons for trainer Tim Glyshaw and owner Ironhorse Racing Stable LLC, Bucchero bested Will Call by half a length after sitting just off the pace set by Rocket Heat, who faded in the stretch. The winning time of 1:04.04 was nearly a second slower than his winning time in 2017 — although the turf was listed as “firm” last year and “good” on Saturday. Bucchero won for the eleventh time in thirty starts, but the victory on Saturday was his first since last year’s Woodford. He finished a game fourth in the Breeders’ Cup Turf Sprint (GI) last year at Del Mar following his Woodford victory, and he’ll be once again take on the best turf sprinters in the world at Churchill Downs where the Breeders’ Cup is returning for the first time since 2011. “We’ll definitely be there,” said Glyshaw when asked if his six-year-old son of Kantharos (out of Meetmeontime by General Meeting) would be returning to the Turf Sprint. With his win on Saturday, Bucchero became the leading Indiana-bred money-winner (photo by Ryan Dickey). Having won at 26-1 last year, Bucchero went off as the post-time favorite at 3-1 this year. He paid $8.40 to win, $4,40 to place and $3.20 to show. Glyshaw, who is based out of Churchill Downs and Indiana Grand as well as Fair Grounds in the winter had quite an opening weekend of the Keeneland fall meet, as he saw two-year-old filly Fun Paddy win the finale on Friday. Under the guidance of jockey Edgar Morales, Fun Paddy paid $110.60 for his maiden special weight victory. Bucchero won’t have to travel far in his quest to become a millionaire, as he sits at $937,936 in career earnings and can see the Churchill Downs track from his stall. 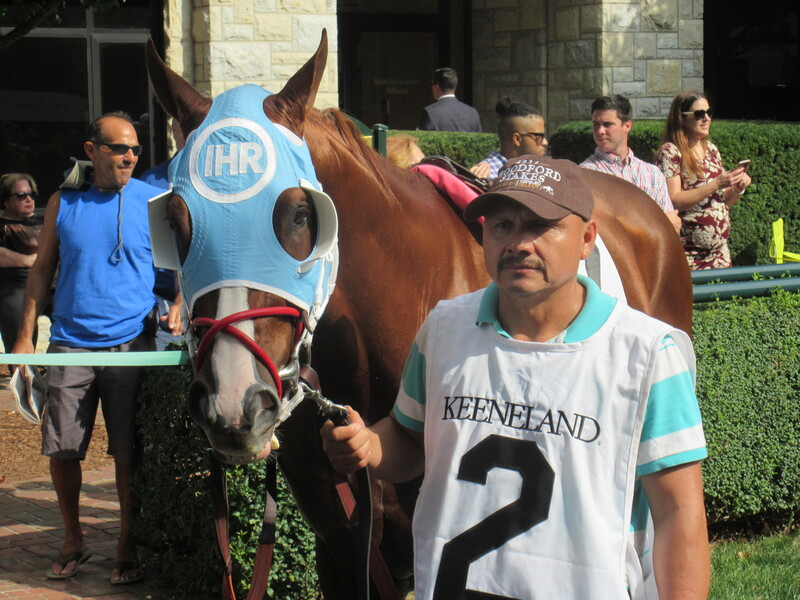 Bucchero passed Indiana-bred Lady Foghorn to become the leading Indiana-sired money-winner. Ryan Dickey is a full-time firefighter in Dearborn, MI, and a life-long horse racing fan. He is a handicapper and contributor to prominent horse racing Websites as well as a freelance sportswriter/photojournalist. He covers local high school sports and community events for multiple outlets, including bi-weekly newspapers and has over 200 works published to date. Once again the owner of a race horse, Ryan is president (and currently sole member!) of Firehouse Racing Stables, LLC. This year @FirehouseRacing plans to send its first thoroughbred, That Is So Right (a 4 year old chestnut gelding), to run at tracks in Michigan, Ohio, West Virginia and, possibly, Indiana. 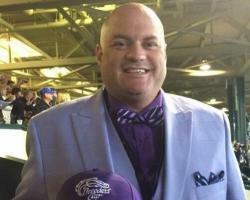 Having lived in Las Vegas for six years and working in the sports gaming industry, Ryan knows sports handicapping from “both sides of the counter.” Feel free to contact him on Twitter (@rdickey249) for questions, comments, criticisms, or critiques.